Kawasaki’s ER-6n is one of the success stories of the naked middleweight class. Originally launched in 2006, this pleasingly quirky looking machine has won an army of fans thanks to its easy-going nature and light handling. Unlike some of its rivals, the ER has never pretended to be anything other than a budget middleweight with odd styling. Brash colours and even pink frames and swingarms on early models were a sign of a bike comfortable in its looks, something that buyers appreciated. Why settle for a run of the mill middleweight when you could have a bike that truly stood out? Next year the ER-6n enters its third generation. Although few spotted the changes, the 2009 model received slight styling updates. But this new 2012 version has the most substantial visual and mechanical change the ER-6n has yet seen in its life. But is it worth the money? 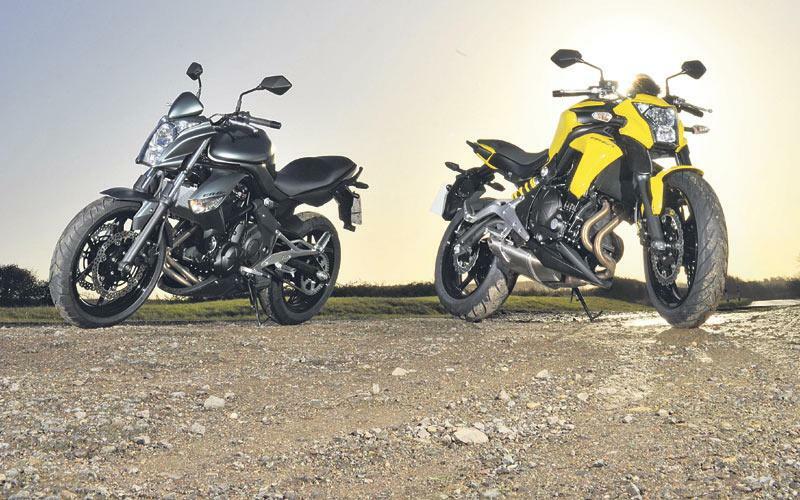 At a quick glance it is pretty hard to spot the differences between these two bikes. The biggest visual giveaway is the frame, with the older bike’s tubing running around the engine. However the raised tank, more angular nose and sharper tail of the 2012 bike are also quite apparent once you know what to look for. Starting the day on the older machine, which only had running in miles on the clock, I’m immediately reminded of why the ER is such a hit with both new and more experienced riders. The riding position is comfortable with my arms in a relaxed stretch to the bars and despite my six-foot plus height I don’t feel cramped on the pegs. The Kawasaki is natural to ride with a reassuring character that isn’t out to give any nasty surprises. 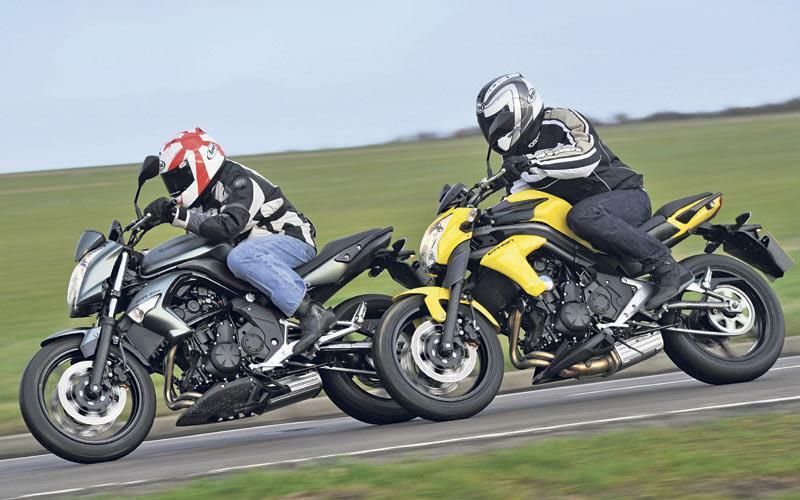 To read the full test, pick up a copy of the December 14 issue of MCN. Reaching a section of dry bends I’m encouraged to push the Kawasaki a little harder and again it responds well, delivering a sporty ride with a pleasing light and agile feeling. It’s hard to see how the new 2012 model could improve on this so I stopped to swap bikes and in all honesty wasn’t expecting to feel any changes. Through the same series of bends as before the 2012 model again surprises. It feels more agile than the 2011 version, faster to turn in and yet equally as balanced. One lucky rider could see their custom paint design splashed across a brand new Kawasaki ER-6n. "The ER-6f is a brilliant commuter and a great first big bike. What's not to like?" "A Jack of trades, and at under £6000 a bit of bargain all round bike"